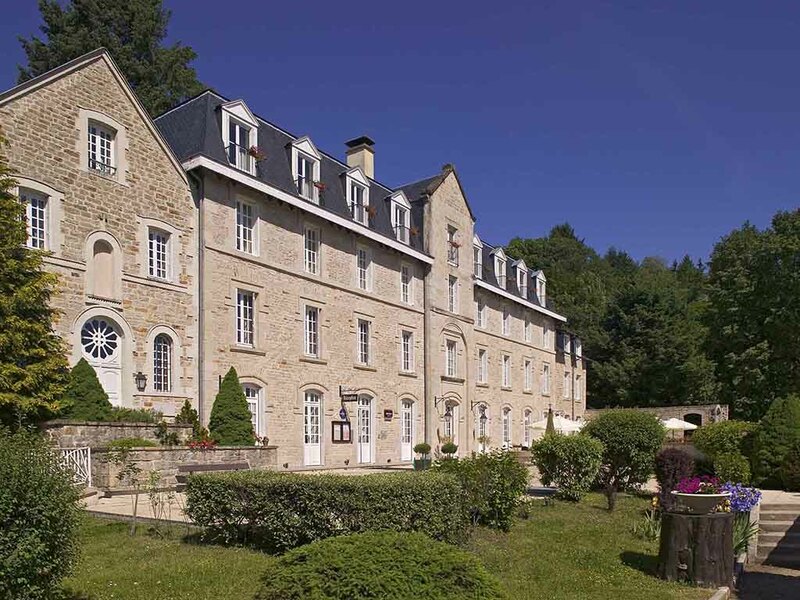 Located in the heart of the mediaeval village of Corrèze and close to Tulle, the 4-star Mercure Corrèze La Séniorie is a beautiful 19th century building, providing the perfect setting in which to relax and enjoy the Limousin countryside. Combining conte mporary elegance and period features, you'll be captivated by our hotel's unique, lush setting. Enjoy relaxing in our comfortable and modern rooms and enjoy a gastronomic treat with our restaurant's regional specialities. You'll be enchanted by the calm and tranquility of the place, plus the comfort of our rooms, some of which have uninterrupted views across the valley. Needed to make a last minute booking in this area and discovered this wonderful Mercure. Beautiful building in a great mountain location, wonderful welcome followed by an excellent meal. Bedrooms are large, airy and well appointed. Will definitely visit again when in the area and would have liked to have stayed longer. Correze is a picture perfect village worth exploring. It is always a pleasure visiting the Mercure La Séniorie as the staff is always attentive and trying to anticipate needs to make my stay the most pleasant possible. Thank you! I enjoy the surrounding, but room and food were slightly below usual (room not unexpected as late booking and hotel almost full). Spent one night here to celebrate a local friend's birthday. Wonderful, comfortable hotel. Delicious breakfast, beautiful area to relax and explore. A very pleasant one-night stop! Very nice staff especially Françoise , the manager, comfy , immaculate room, excellent food and last but not least beautiful heated swimming-pool! Beautiful building and village, nice staff. Lovely room, unfortunately slept badly; very hard mattress . Need to have surmattress for the over 60 ties! Friendly staff. Comfortable room and good food. The town if Correze is truly beautiful and graced with a fantastic hotel. Overlooking the town it has the most wonderful views from the front top floor rooms. The staff are discrete whilst giving first class service both in the hotel and restaurant. Rooms and communal areas are spotlessly clean. Most memorable stay any where in years for comfort and rest. Great property, great management, great room and best breakfast ever. We want to move in permanently. The manager, Francoise is the best I have seen in years. If I was in the trade, you would lose her in a heart beat. It is always good to say at La Seniorie. The Staff is always incredibly helpful and welcoming. I also love the breakfast. Only small item, I find the mattress very hard and the rain shower pressure week. The reception we received was very friendly and helpful. We had a nice room and dinner and breakfast was to a good standard. Very quiet location. Very nice welcome. Good service.